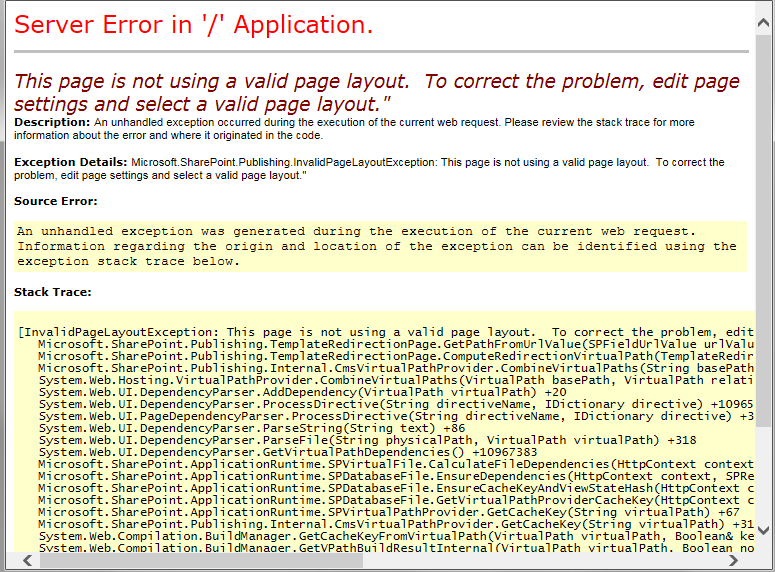 Home Known Issues SharePoint This page is not using a valid page layout. To correct the problem, edit page settings and select a valid page layout. This page is not using a valid page layout. To correct the problem, edit page settings and select a valid page layout. Root cause of the problem is: Page layout URLs are hard-coded in the publishing/web part pages. When you copy/move them from one site to another (or during export-import). Open you site in SharePoint designer, Navigate to the library (usually: Pages), Right click on your copied page, choose "Detach from page layout"
Now, again right click on the page and choose "Reattach to Page Layout". Ignore any error it throws. 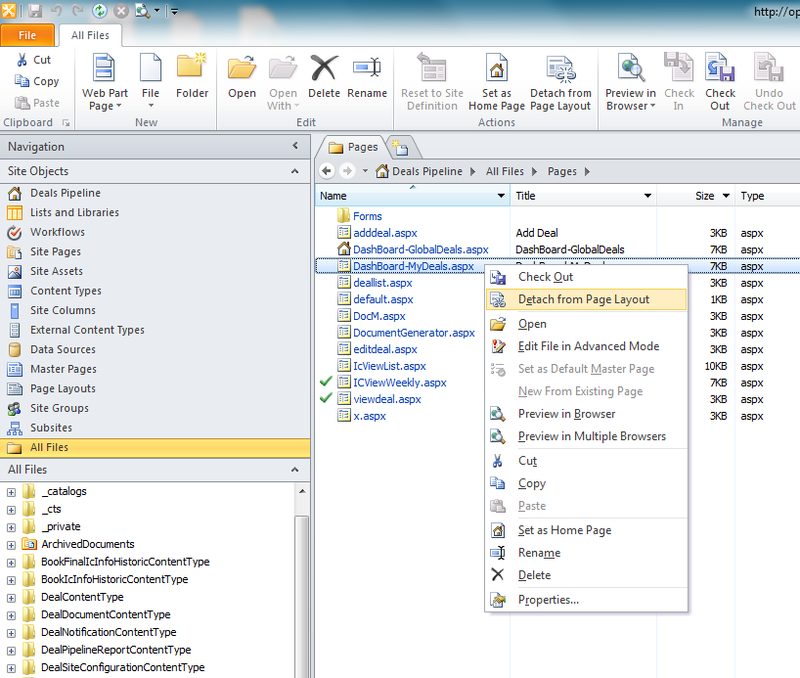 How to Create a Web Part Page in SharePoint 2013?